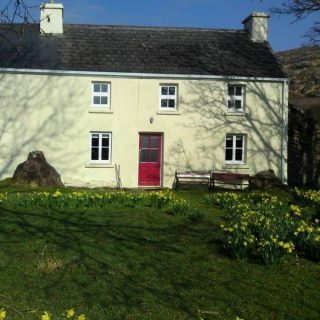 In tranquil countryside, a rural farmhouse within the Kerry Dark Sky Reserve and only 1 kilometer from The Ring of Kerry or the coast, allowing you to explore sandy beaches and the surrounding countryside by day and gaze at galaxies by night. Built over two hundred years ago, Dereenaraig is a delightful whitewashed farmhouse surrounded by fields and hills. Come here to escape; hike through valleys or use as a base for exploring the south west of Ireland. Inside it is both traditional and practical. A wood-burner warms the big, old-fashioned dining room and there’s a comfortable sitting room stocked with books and DVDs for rainy days. Upstairs, two bright and airy double rooms have antique beds, while there’s a cosy twin room for the young members of the family. Downstairs, there are a couple of simple bathrooms. 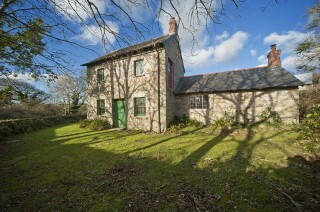 The cottage stands within an acre of wild garden where children can roam free. Active families will love kayaking around Kenmare Bay or rock-pooling along the beautiful Iveragh Peninsula. It's not nearly as far away as you think to get to the southwest of Ireland and is certainly worth the visit. Sleeps 6, pets by arrangement. 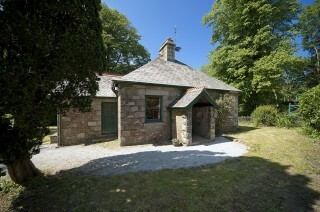 Charming granite estate lodge from 1884, listed and retaining its original features. 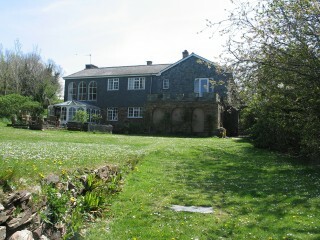 South facing with large garden of lawns and trees set in farmland and woods with good walking. 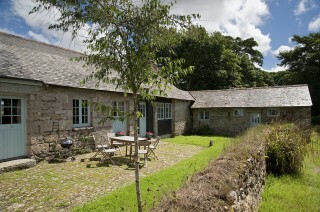 Near pub, riding stables, access to the coast, Helford estuary and the Lizard. Storage heaters, wood burner and open fire. Dogs allowed. A stunning listed stone building from 1772, just outside Port Isaac on the north coast close to beaches and cliffs. Upstairs sitting room looking over fields with original arched beam roof. Oil central heating. A working farm with great position and views. Dogs allowed. Badgers is just outside Constantine and near the Helford River. 400 yards from award winning remote pub. Upstairs sitting room with wood stove, TV. Two bedrooms, (one with double, & one with twin beds). Extra childrens loft. Modern bathroom. Oil Rayburn and electric central heating. Ample safe room outside for children. Dogs allowed. 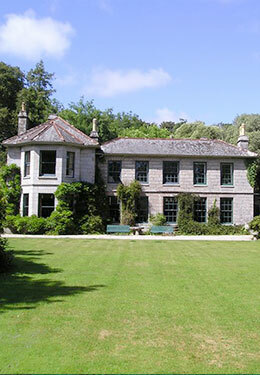 It feels really remote and is on one of Cornwall’s great stately home estates- but is only 500 yards from a beautiful beach & inlet. Renovated in the nineties this is a great forgotten house near Fowey. 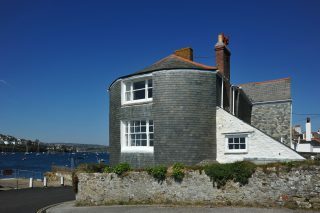 One of the most popular houses in Cornwall. Dogs allowed. 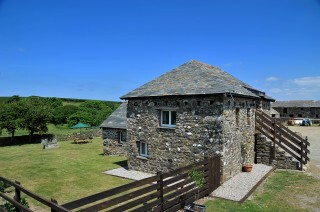 Above Port Isaac, the Waggon House has loads of space and height in old stone buildings of great quality. Renovated by experienced designers to keep all features in a simply designed quality refit. Surrounded by fields. Close to coast. Working farm. Spacious for 8 or good for 2. Dogs encouraged. 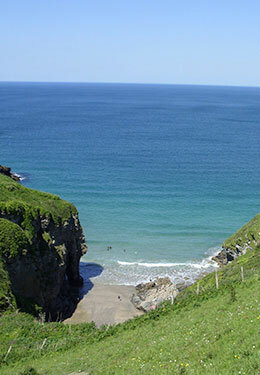 Wonderful north coast base for holidays. 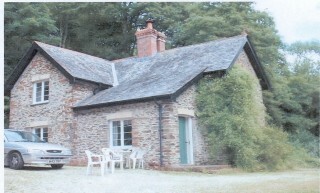 At end of farm drive, old stone buildings around three sides of courtyard. Very spacious and interesting. Thick walls, high ceilings. Large sitting room, big fireplace, large kitchen. Three bedrooms, two bathrooms plus two beds in attic. Good for children and dogs, three miles from Falmouth beaches. Oil fired central heating. Lots of lawn & open country. Dogs allowed. Quay House at the port of Flushing stands just back from the quay, facing south and has charming large rooms, a small garden to the rear and a garden and summer house on the quay side. The quay garden is in front of the house, but separated by the no-through road through Flushing. The views from the house are stunning. They look south across Falmouth bay to Falmouth, the harbour, and the hills beyond. Even at low water there is water against the pier garden and the house itself is part 18th Century and part an extension added around 1820. Dogs not allowed. 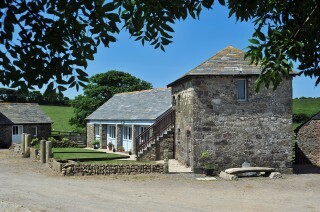 Browns Barn was converted about 40 years ago and extended approximately 10 years later to provide a comfortable family home that has been, and remains, a retreat for the owners and the younger generation of the owner’s family. The house is half tiled with slate tiles. Browns Barn is built for fun, family holidays. Located near the bottom of a small lane, with parking on site, it is only 8 minutes from Wadebridge, with all the facilities of a small town, and only 6 minutes from a supermarket. The closest beach, at Harbour Cove is just 10 minutes away. Sorry, no dogs. WiFi. SWIMMING POOL and HARD TENNIS COURT, so bring your swim gear and your tennis racket! Maximum of 2 well behaved dogs allowed. 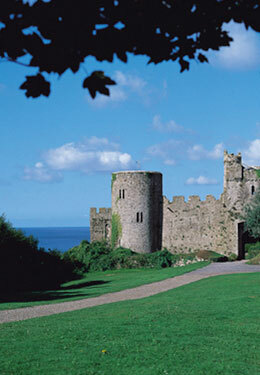 Within the walls of this great medieval castle is a house, built of and within the battlements. Your keys are those of the castle. 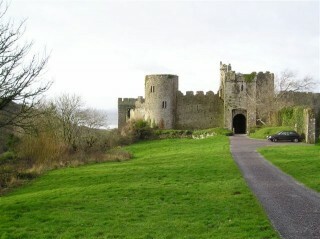 The house has good sized rooms, some of which are 13th Century, and four bathrooms. The stairs are narrow. There is a well equipped kitchen and walled garden. The beach is 100 yards away. This is one of the great holiday homes in Britain - an unusual and comfortable holiday house which is also one of Wales’ most famous castles. One dog allowed by arrangement.